Kip Foster has launched his own brand of kart, the KF Kart. 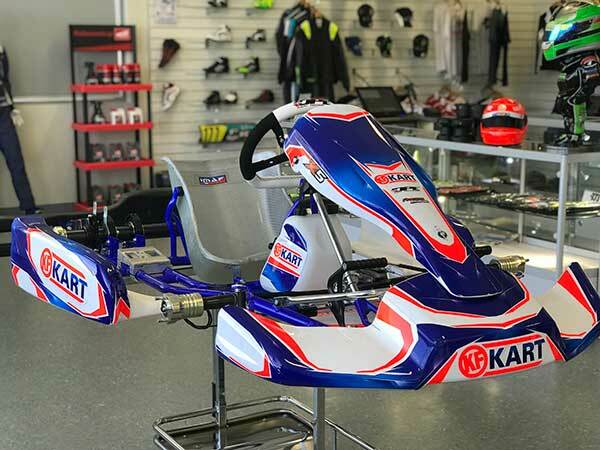 The Australian-built karts are manufactured in Melbourne by DPE Kart Technology, this first KF model being to DPE’s X5 specification. The WA-based multi-time Australian champion has driven a wide range of kart brands during his illustrious career, but driving his own brand will be a first. “I was contacted by Bart (Price) in June about whether I was keen to do an X5 model in my name” Foster told KartSportNews. He also consulted Remo Luciani who had done a similar thing with the Monaco brand in the mid 90s. 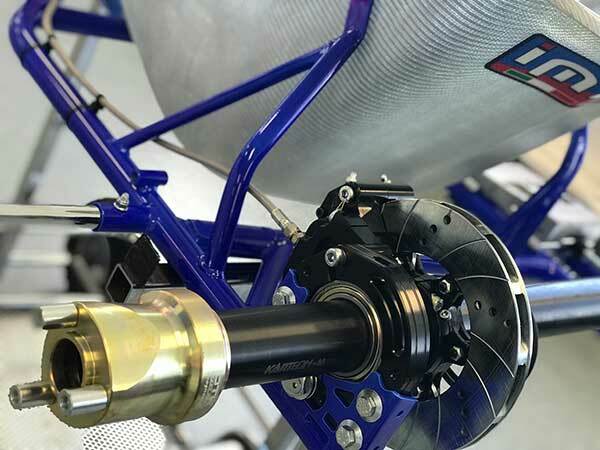 “The DPE chassis has taken me to my two SuperNationals victories in Las Vegas, so I know the product very well and have a lot of confidence in its performance” he said. 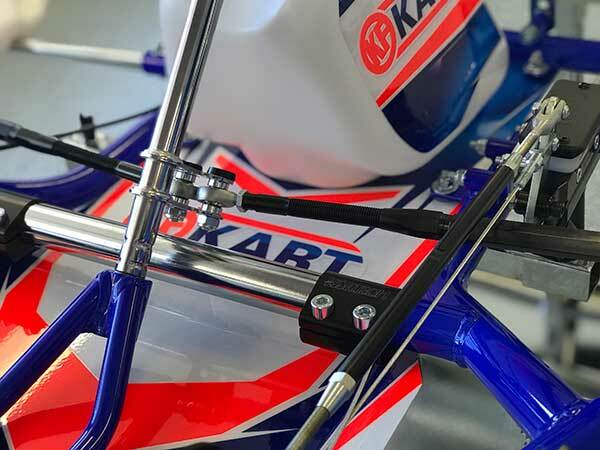 The senior model of the KF Kart comes standard with OTK magnesium hubs, one-piece KG rear bumper, pearl plastics, Douglas SE magnesium rims and fluro decal kit for $4700 (plus freight). “We will be taking delivery of our Junior and Cadet karts in the next few weeks” Kip added. “Adam Levi, my son Scott and I have put our heart, soul and many hours into designing the decal kit with the kind assistance of Daniel Webster of Versatile Design. 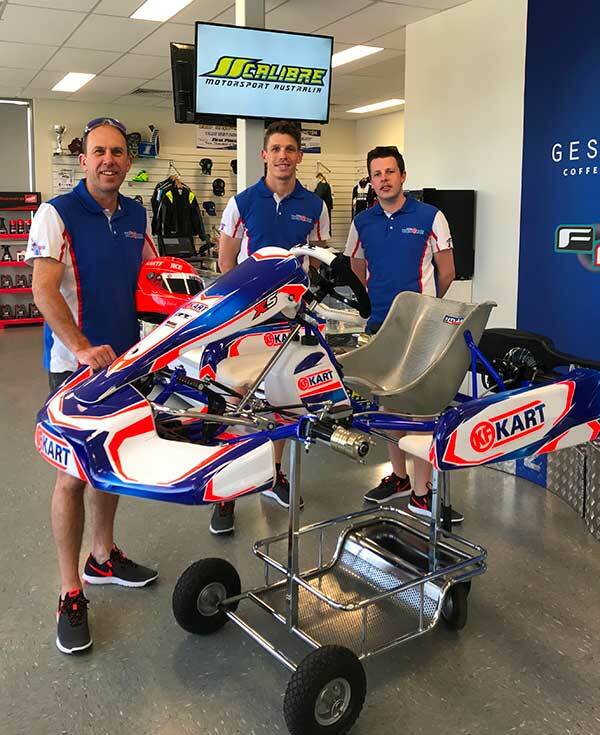 While sales of the kart will go through Kip Foster’s KartForce in WA, the karts will be dispatched directly to the customer from DPE’s headquarters in Melbourne. The customer can then complete the final assembly. The chassis was released “in the flesh” to the public at The Kart Centre (Canning Vale, Perth) at 6pm tonight (Tuesday, 5 December). For more information, visit the KF Kart Facebook page HERE, or call Kip Foster direct – 0407 779 138.